Small cells, by definition are small in size and have low power requirements that make them ideally suited for congested areas with demand for better coverage and higher Internet bandwidth. It refers to a set of operator-controlled low-powered radio access nodes that include the ones operating in licensed spectrum and the ones operating in unlicensed carrier-grade Wi-Fi. They are typically in the range from 10 meters to several hundred meters. Small cell chips are the next big thing that mobile carriers are employing for handling skyrocketing mobile data traffic. This, in turn, helps improve mobile coverage and network capacity to provide an unparalleled mobile experience. Small cell chip solutions integrate several semiconductors found inside a large macrocell base station. Small cells work like a Wi-Fi hotspot. They are the size of a wireless access point and use high-speed Internet connection to transmit 3G/4G/LTE and Wi-Fi signals. This leads connected devices to be taken off cellular towers to get better speed and coverage and thereby enabling carriers to increase their capacity. Small cells help bring network closer to users and is instrumental in meeting the unprecedented increase in data demand. The residential femtocells are already favored among mobile operators. The number of 3G femtocells outnumbers microcells that are used today. Going forward, residential femtocells are expected to have a broader role for new deployment models such as open neighborhood small cells. The semiconductor market for femtocells and picocells is rising at a considerable rate. In the field of mobile communication, femtocells are small “indoor base stations” that enable the device it is inserted in with top quality network coverage within a dedicated area. Although the concept was initially developed for WCDMA, but it is also appropriate for other standards such as GSM, WiMAX, LTE, and CDMA2000, TD-SCDMA. For network operators, femtocells provide users with both coverage and high capacity for the purpose of handling mobile devices. Consumers experience good voice quality as well as enhanced battery life for handsets by employing femtocells. 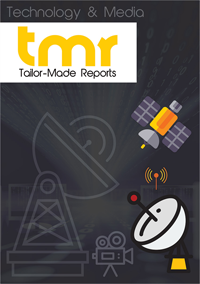 This market study is an assessment of the growth scenarios and chronological tract of the global small cell chip market. It deals with the valuation of the facets that have been projected to influence the expansion of the market both destructively and positively. Further, the significant trends have also been indicated in the publication. The market study further presents an extensive outlook on the seller background of the market referring to Porter’s five forces analysis. The research report also deals with the R&D accomplishments, mergers, acquisitions, and essentials on certifications and partnerships. The report analyses the tactics related to shares, profile-raising, and product series of the key companies in the global small cell chip market. High implementation of smart computing devices and upsurge in applications of smartphone in order to avail value-added services (VAS), are the chief factors behind the growth of this market. Furthermore, vendors are also actively endorsing the implementation of femtocells as these aid network operators in providing better coverage. The growing implementation of femtocells to decrease call charges and experience improved data transfer speeds for gaming and video downloading is anticipated to contribute extensively to the small cell chip market. The growing number of small and medium enterprises and the demand for better indoor network coverage is contributing to the growth of this market. Moreover, the ability of a femtocell to integrate with any network, easy deployment, and cost effectiveness drives the growth of the market. The strict government regulations could act as a restraint for the new players to enter the market. The challenges that an operator could face are the management of inter-cell interaction and providing consistent network coverage. Based on technology, the small chip market can be segmented as 2G, 3G, 4G, and 4G LTE advanced. The end users for small cell chip are in house consumers as well as the enterprises.. Some of the applications of small cell chip include unified communication, voice traffic switching, network analysis, and dedicated voice capacity among others. North America is the leading market for small cell chip closely followed by Europe. There are significant growth opportunities in Asia-Pacific, mainly supported by countries such as India, Malaysia, and Indonesia. Technically advanced countries such as Japan, Russia, and Korea offer high opportunity for the growth of the small cell chip market. Some of the leading players in small cell chip market are Airvana Incorporation, ip.access Limited, Cisco Systems Incorporation, Softbank Corporation, AT&T Incorporation, Aricent Group, Verizon Communication, Ericson Incorporation, HSL Systems Limited, Nohe-H GmbH, and ZTE Corporation.